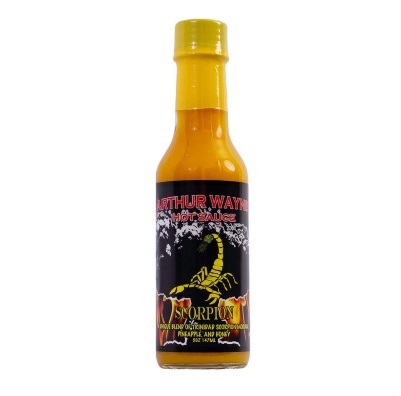 Arthur Wayne Hot Sauce brings the heat to the table with Scorpion Pineapple. The Trinidad Scorpion Moruga is one of the hottest peppers in the world and pairs with honey, pineapple, and lemon for a very unique hot sauce. This sauce will not burn your face off but will bring the right amount of heat to the table.